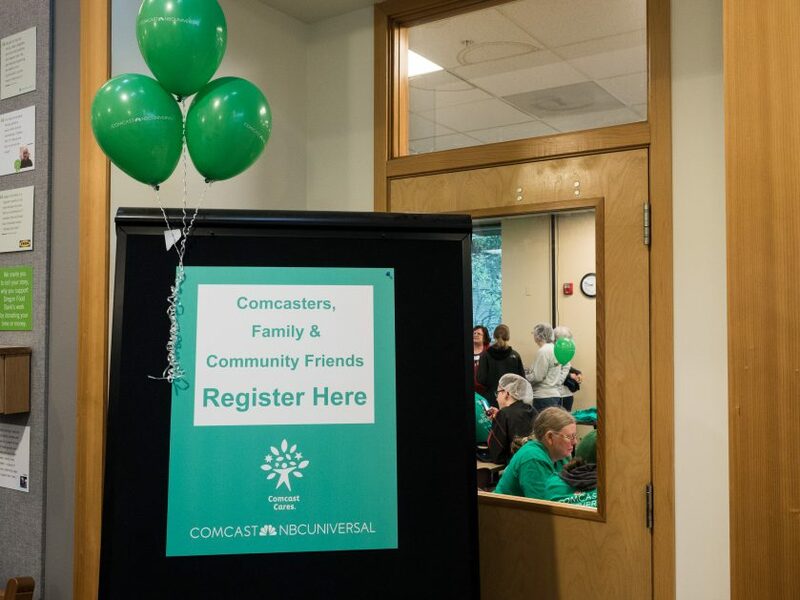 As I catch up on sharing some work from the past year, once again I photographed Comcast Cares Day for the local area, creating some Portland event photos that are representative of corporate event work. 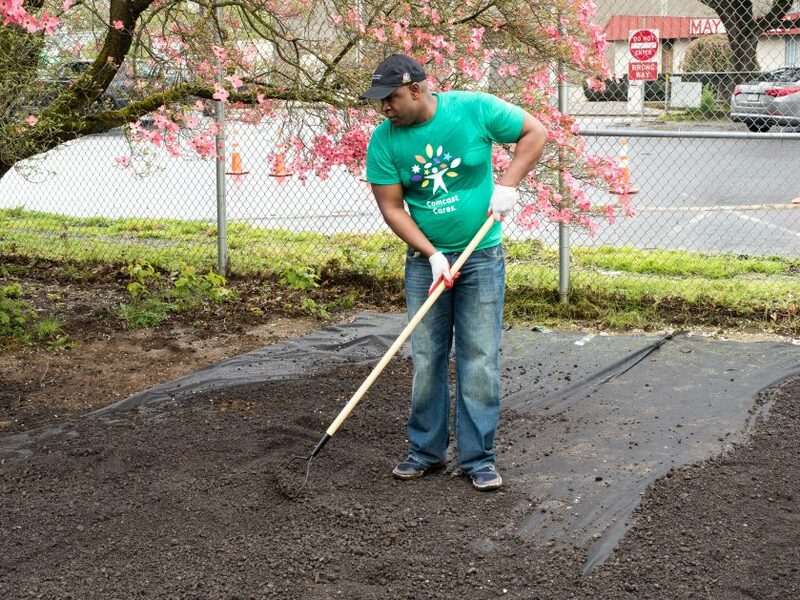 This year I was assigned to cover three sites, and as always the common theme was employees from the organization giving back to the community through a variety of community service projects. I’ll share a few photos from a couple of the locations. 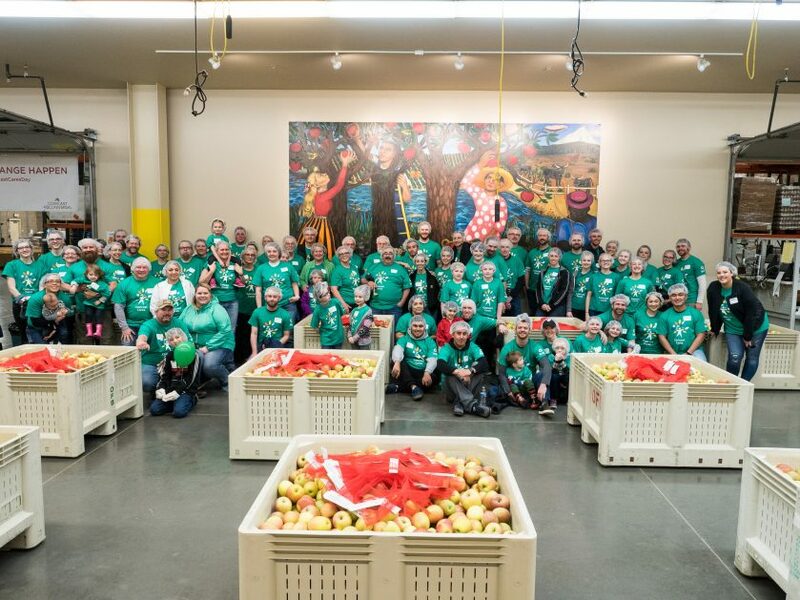 My first location was the Oregon Food Bank, where after an orientation and group photo, the volunteers packaged various produce into smaller bags to be distributed to families in need. 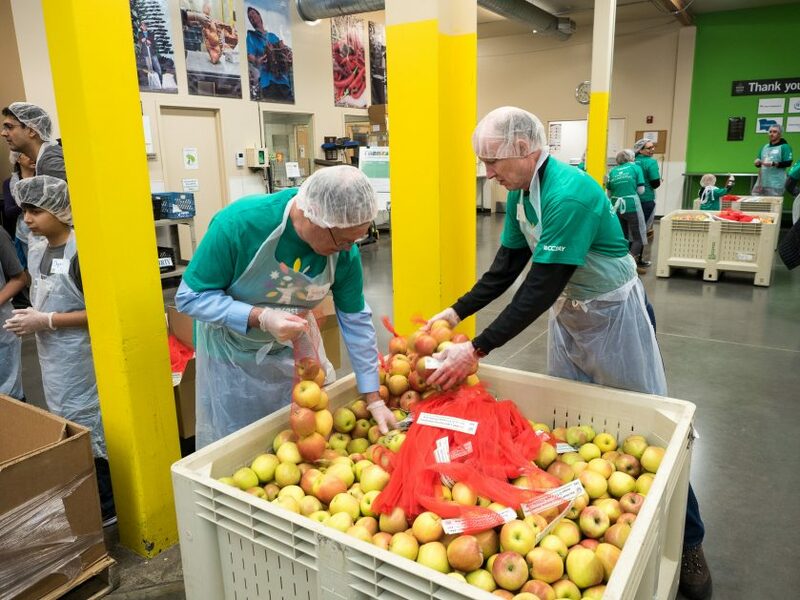 There was a lot of food to be packaged for redistribution, but as you can see from the group photo there were plenty of hands available to do the work. In addition to the Comcast employees and volunteers, there was another partner agency helping out as well. The other location shared here is from the Native American Youth and Family Center in Northeast Portland. This organization provides a variety of services for the Native community, and the work here was both indoor and outdoor to improve the grounds and prepare materials. Outside, there was a lot of physical labor including spreading bark and gravel. Other efforts included installation of two new benches near the garden area. As examples of Portland event photos, these images are typical for how I will cover such an event in a photojournalistic style that allows my client to use the images for social media, press releases, or future promotional use that shows the work being done by their company at events.